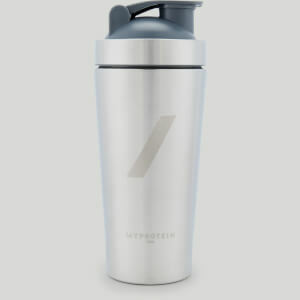 Crafted from 100% stainless steel, our Metal Shaker is perfect for mixing supplements on the go — from weight-gainers to protein blends to amino acids — stay on top of your nutrition, wherever you are. I have used this protein shaker around 3 times. Each time a small area at the bottom turns green when it dries after being washed. When I then wash the green off it is then rusty underneath. While the shaker looks good it is of poor quality. Definitely the only shaker I use. Love the colour and it's so easy to clean! My first protein shaker and I love it! 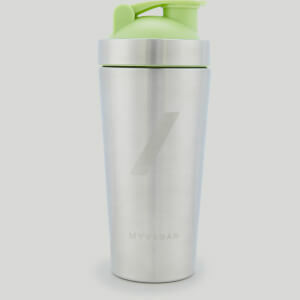 Looks great, nice colours, sturdy and mixes my protein shakes very well with no lumps. I’ve been using this for about 1 month now. I have no experience of it leaking in my gym bag. It comfortably fits 4 scoops to my water ratio. However I never usually fill it because I like a thicker consistently. The cap at the top mixes well and the overall look at quite smart and it had been complimented. The branding isn’t in your face, it is very subtle. Very easy to clean. 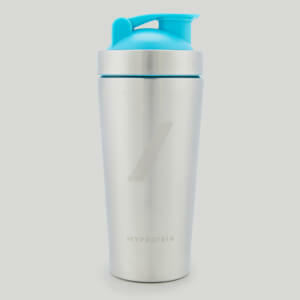 Such a nice shaker bottle. love the premium materials and looks really cool!